Children in single-parent families were more likely than children in nuclear families to have asthma regardless of their gender, race/ethnicity, parent’s education, family’s poverty status, place of residence, or region. Among children with private health insurance, those living in nuclear families (10.4%) were less likely to have asthma than children in single-parent (15.3%), unmarried biological or adoptive (15.5%), blended (13.7%), extended (13.9%), or other (18.7%) families. 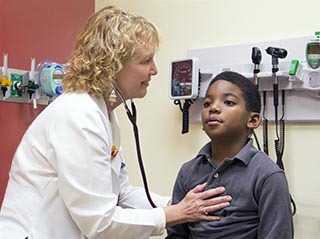 Among children with Medicaid, those living in nuclear (11.4%) and unmarried biological or adoptive (9.3%) families were less likely to have asthma than children in single-parent (20%), blended (15.3%), cohabiting (16.5%), extended (16.4%), or other (17%) families. I think this is rather interesting, but that may be because I see it so much in my practice. 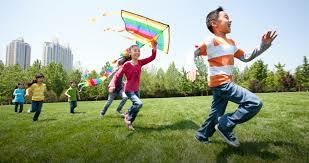 The #1 Children living with biological or adoptive parents were less likely to have ever suffered from asthma. That doesn’t mean that there are not children in two-biological homes that suffer from asthma, there are! But what it’s saying is that children in a nuclear or two-parent home have less chance of suffering from asthma. I can understand now how this might be affecting the children. When there are two parents in the home, there is more help. In other words, it’s not just mom that has to watch for the symptoms and give the medications. When I have children going back and forth from one home to the other the compliance is a bit more tricky. Parents don’t seem to be on the same page, there are some control issues that keep the child from being cared for and children or parents may forget the medicines. It might be thought of as not that big of a deal when a child forgets his/her medicine for the weekend, unless they have an asthma attack. Asthma can kill. 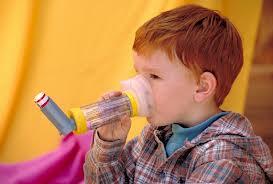 I have seen children die from asthma attacks. We have learned so much in the last few years on how to control asthma, but the medicines are a big part and it has to be daily medication. How do you remedy this when you have two parents fighting over issues and medications are forgotten or not sent. Or you have a single mom that is trying to survive with children and she forgets to give the medication or remind the child to take the medication. So this is definitely a problem. If we know this when we do a well check or even when we do our asthma re-checks we can actually prevent the problems and help the family problem-solve. We as medical providers MUST be advocates for the patient or the child. If we ask non-judgementally “Are you guys married, do you live together?” then you have a better idea how to work with the family. Also when we make notes in our charts regarding this it allows the next healthcare provider or even the present to remember the situation and work within the parameters of what the family has to work. 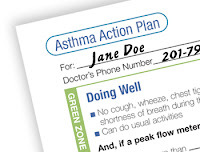 This is definitely a way to prevent Asthma from being out of control.I see this as what Obamacare was originally thought to do. When we prevent big problems such as uncontrolled asthma we can save money in our tax dollars, the children will lose less time at school and tend to do better at school and parents will have less time off of work because they have to take child to the doctor. Seems like a Win-Win to me. What do you think? Family Structure and Children’s Health in the United States: Findings From the National Health Interview Survey, 2001–2007, Vital and Health Statistics, Series 10, #26, December 2010.